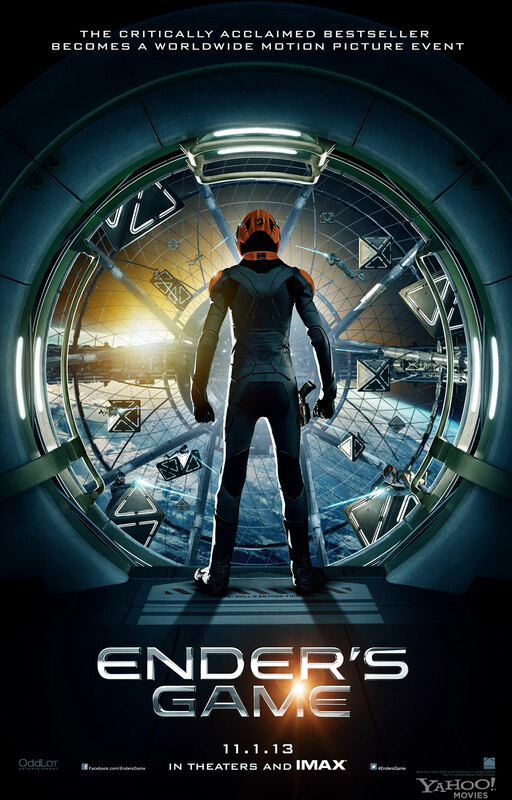 I saw the film adaptation of Ender’s Game last weekend. I found the movie as faithful to its source material as one could expect; as always changes must be made, mostly for the sake of time. I think this was one of the movie’s bigger faults, as the whole thing generally felt rushed. I would even say that it should have strayed more from the book. For example, the character of Mazer Rackham in the film seemed superfluous since he wasn’t able to be given the kind of build up as in the book. That character’s actions should have been given to Hyram Graff for the sake of simplicity. To me, that was the part that stuck out about the story. I’ve grown so accustomed to aliens being portrayed as monstrously different (think Xenomorph) or annoyingly human (Na’vi.) It was surprising to me to present these insect-like aliens as being remorseful of their actions and actually fearing human retribution. It was a characterization of a monstrous species I was not used to, and enjoyed quite a bit that’s always stuck with me. But I don’t think audiences would take too well to something like that. What do you think of the prospects for a sequel? Great review! I don’t think it did well enough to warrant a sequel and I’m not sure I’d be eager to see one.